with resources to assist the local government with a broad range of human services that fall into the CERT mission. outdoor search and rescue, triage and treatment areas, case management, etc. ~ To assist all public safety agencies in all phases of disaster as requested. ~ To train, educate, and inform the public regarding Emergency Preparedness. 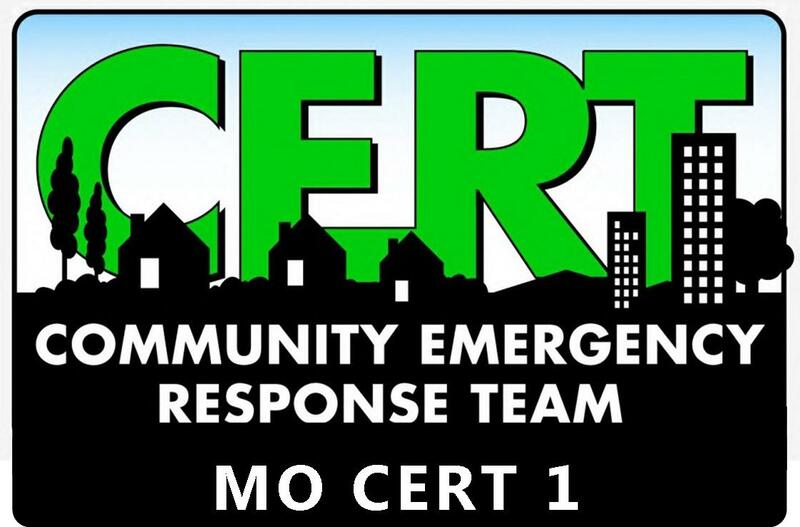 ~ Assist the individual counties in providing a variety of training opportunities to the MO CERT 1 members. Send mail to phila69682@aol.com with questions or comments about this web site.